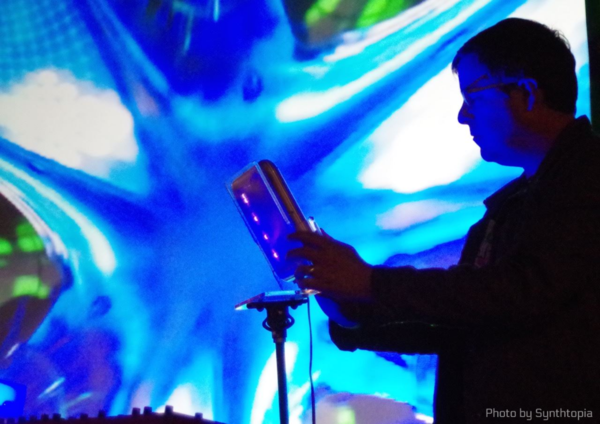 I attended and performed at the Denver Synth Meet on March 14th. It was a great event with many attendees coming in from out of town. Here are some photos of the general event as an album on Flickr. 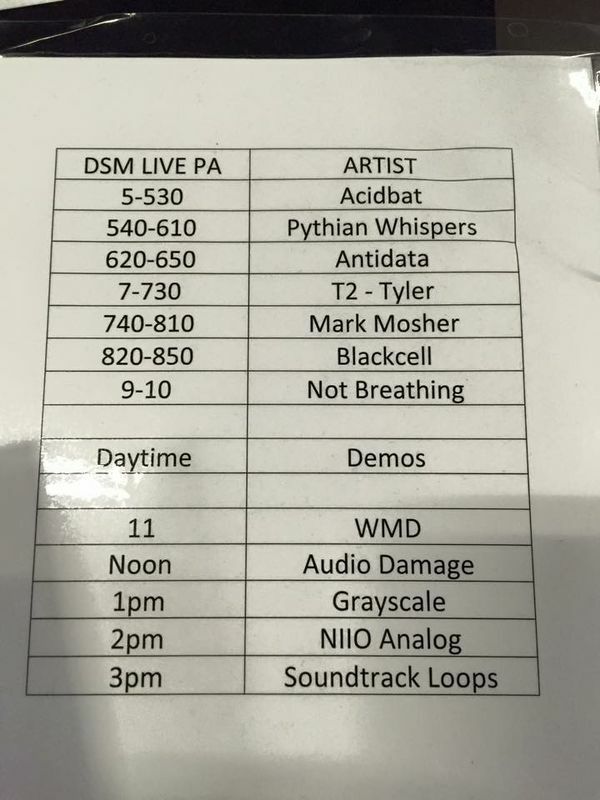 After 5pm, musical performances began which included the following lineup. I performed my full controllerism set performing songs off of my three alien invasion cinematic electronica albums Reboot, I Hear Your Signals, and Fear Cannot Save Us. Synthtopia was in the house and got some fantastic photos of my set. I performed using Ableton Live with tons of virtual instruments I played using Ableton Push, keys (Nord Lead 4), Tenori-On, and Percussa Audio Cubes. on the center screen were my visuals which are created on the fly with live camera input and real-time FX (Live acts as my controller hub for this). I was honored that vent founder Chris Blarsky run a second set of visuals on the outside screens during my set. Here is a flickr album of my set. What a great event – especially for the first year.